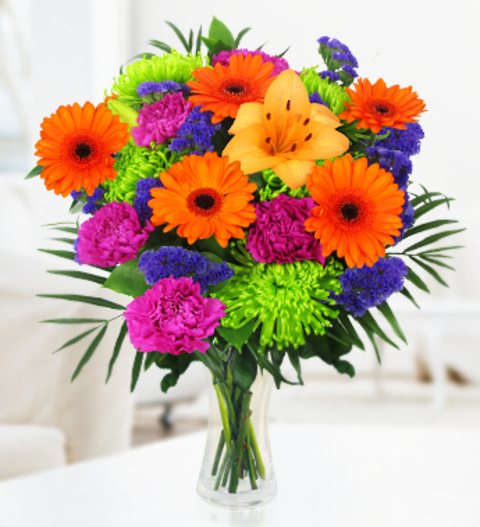 A delightful bright bouquet expertly arranged by our talented florists. Each stunning bouquet is hand tied with lily la orange lilies, cheerful germinis, static, carnations and shamrock blossoms. A bouquet that is perfect for celebrating any occasion whether it be for an Anniversary, birthday or to send just because! Chocolates may contain nuts.